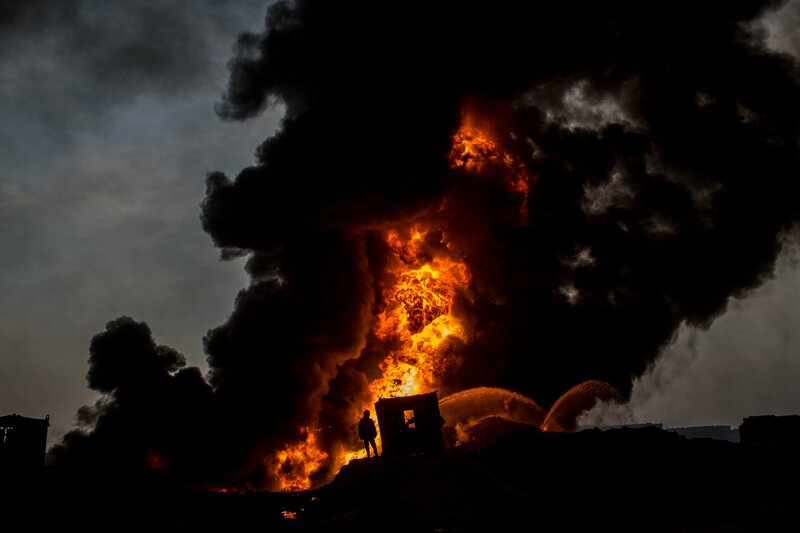 ISIS Global: Where Next For The Jihadi Group As Its Caliphate Crumbles? The caliphate, at least on land, is ending. The Islamic State militant group (ISIS) no longer controls Mosul, the northern Iraqi city where its leader Abu Bakr al-Baghdadi declared its creation three years ago, almost to the day. Now, Raqqa, its other grand prize, is vulnerable. A Kurdish-Arab coalition backed by U.S.-led coalition forces has captured more than half of the city. 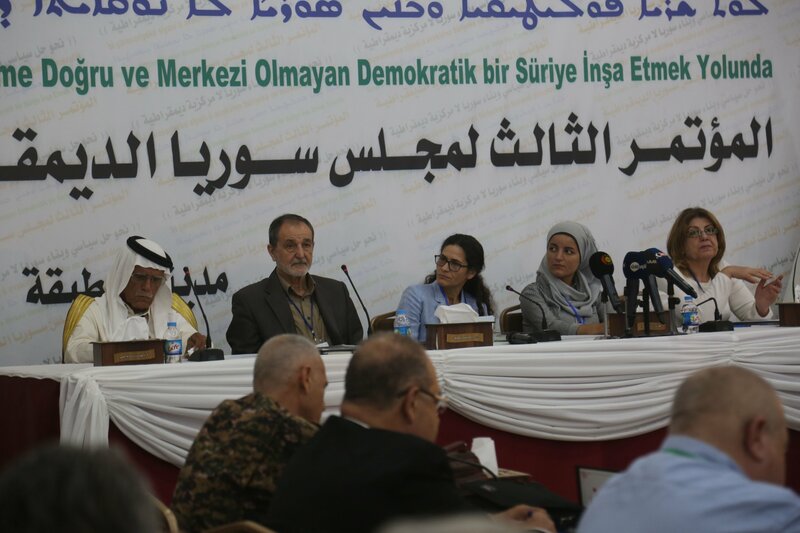 If and when Raqqa is liberated, all that will remain in the hands of the jihadi group are the eastern Syrian cities of Deir Ezzor and Mayadin, the northwestern Iraqi city of Tal Afar, and the lawless borderlands that connect the country with Iraq. Now, security services in Europe are increasingly concerned about foreign fighters returning to their home countries, where they might commit attacks individually or as part of a cell, such as during the Paris attacks. 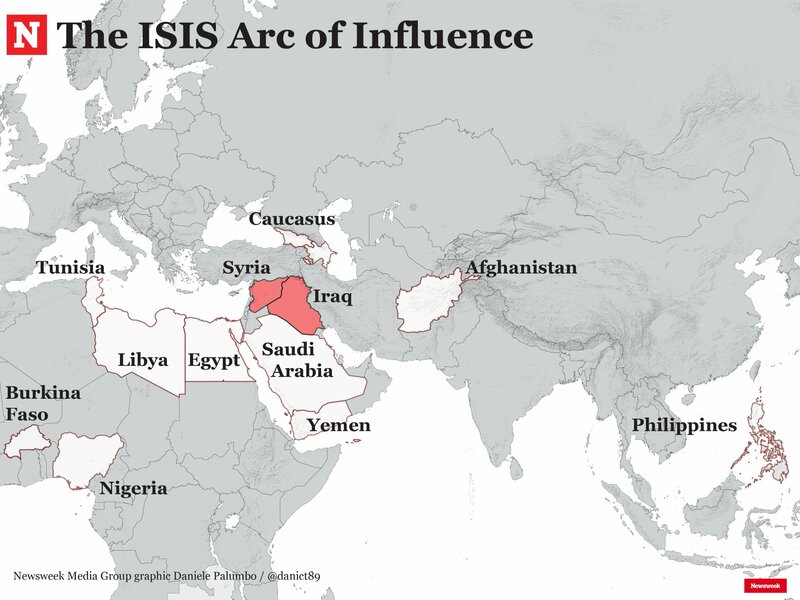 But ISIS’s influence has spread to other corners of the world, with affiliates looking to piggyback on their brand, or actively working with the group to capture territory. Here are the areas of the world where ISIS and its influence could pose the greatest threat to security. 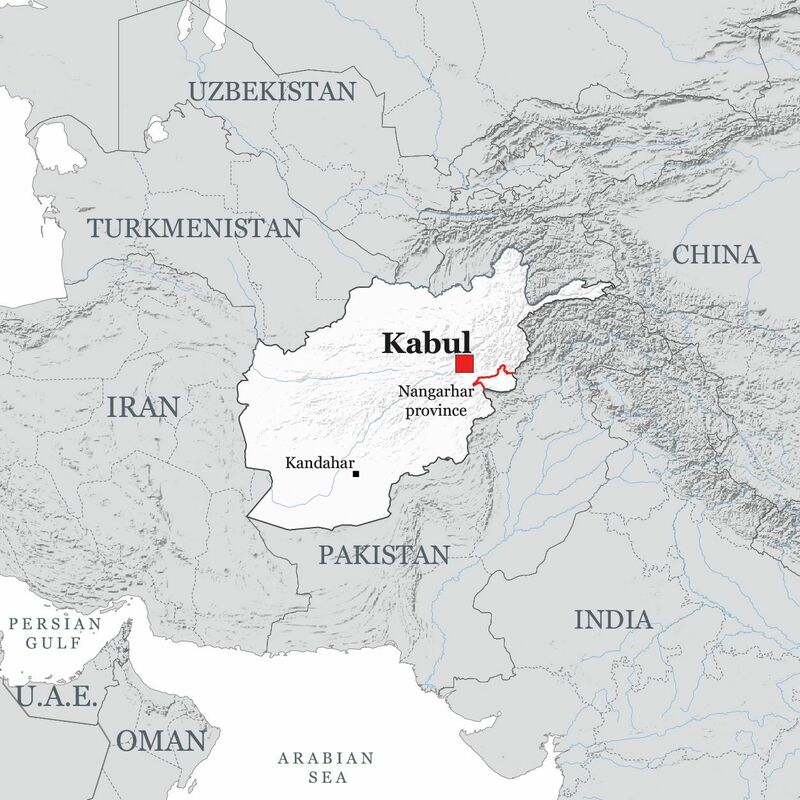 The Islamic State in Afghanistan—known locally as Khorasan Province, or ISIS-K—was formed in January 2015 and is named after a historical region that was made up of modern-day Afghanistan and Pakistan. It is active in several areas of Afghanistan, most notably the eastern region of Nangarhar, as well as the northern provinces of Badakhshan, Jawzjan and Faryab, and the western provinces of Ghor and Baghdis. 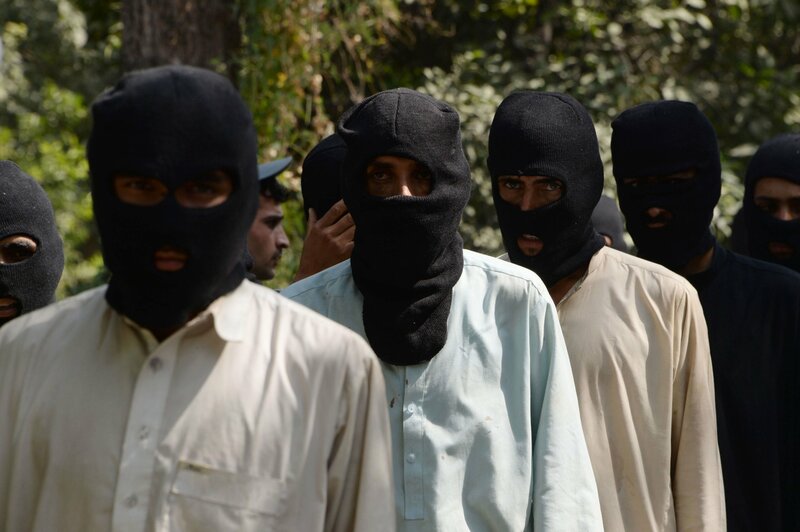 A large majority of its members derive from rival radical Islamist groups such as the Taliban. The affiliate has carried out several mass-casualty attacks since the beginning of 2016, particularly in the Afghan capital, Kabul, where it has attacked a Shiite mosque and protesters from the ethnic Hazara minority in suicide bomb blasts. Washington has sought to target the affiliate's leaders in the country and last month killed its top leader, Abu Sayed, in a drone strike in Kunar Province. Saudi Arabia is frequently accused of inspiring ISIS, possibly even funding it, but it denies these claims. Riyadh points out that with an estimated 2,500 Saudis fighting overseas for the group (as of October 2015), it is one of the most at risk countries in the world when it comes to foreign fighters returning home. 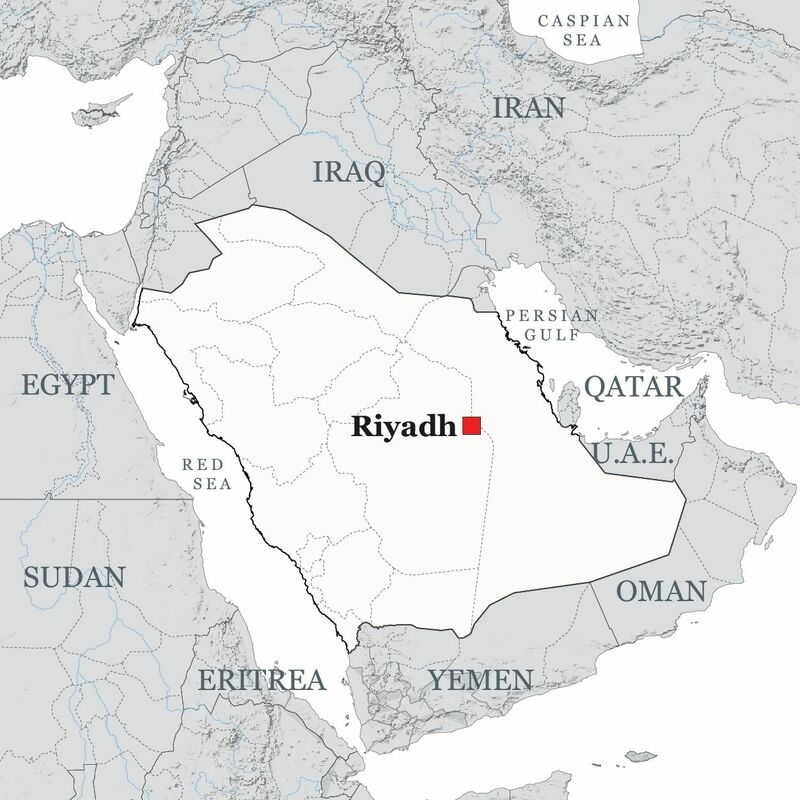 There are, of course, similarities between the radical strain of Sunni Islam followed by ISIS and the ultra-conservative Wahhabi faith that is Saudi Arabia's state religion, but for decades the Saudi state has faced the threat of Islamist-inspired terrorism by young men who consider the ruling family apostates for their alliance with the West, particularly the U.S. Saudi Arabia has suffered dozens of terrorist attacks over the past decade, often targeting its Shiite minority, and Riyadh fears that Saudi fighters returning from Iraq and Syria will seek to continue their violent jihad at home. ISIS has its own affiliate in Saudi Arabia, known as Najd Province, which has claimed suicide bomb attacks on Shiite mosques in the country, as well as in neighboring Kuwait, killing more than 50 people. The group has also claimed responsibility for an attack on one of Islam’s holiest sites, Medina, carrying out a suicide bombing at the Prophet’s Mosque in July 2016. 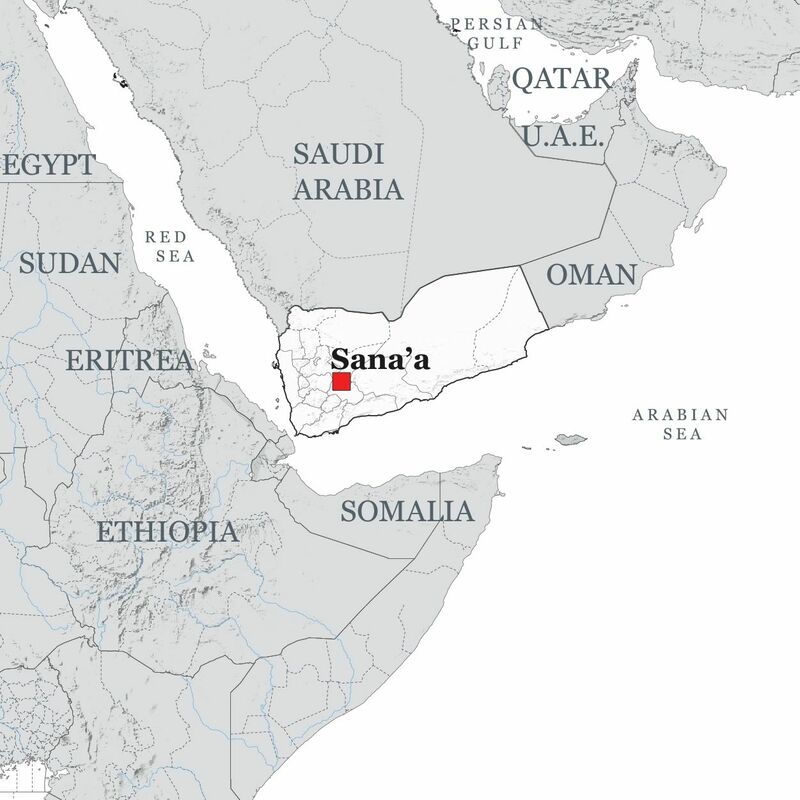 With a war raging in Yemen since March 2015, between Houthi rebels and pro-government forces backed by a Saudi-led coalition, an ISIS affiliate emerged amid the chaos, carrying out suicide bombings against Shiite mosques in the capital, Sana’a. The security vacuum has allowed the group to vie for dominance with the more powerful Al-Qaeda wing, Al-Qaeda in the Arabian Peninsula, which the U.S. military is conducting a drone campaign against. 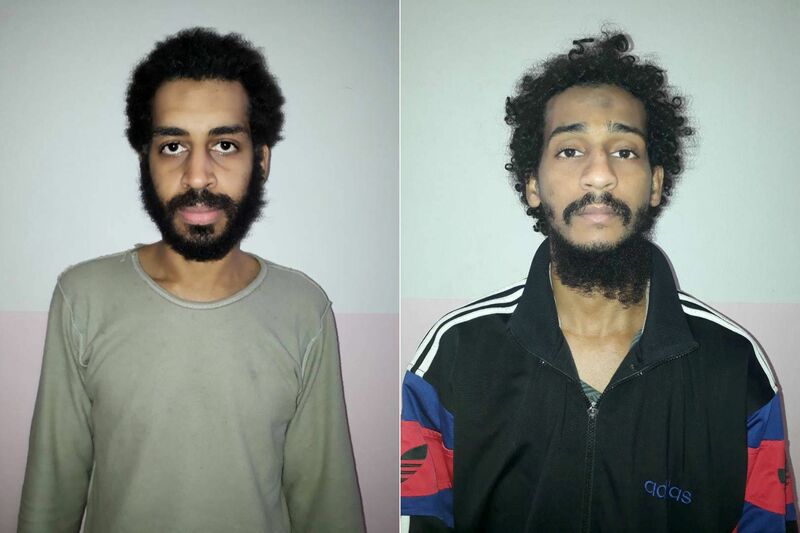 ISIS’s affiliate is yet to seize territory in the country, unlike AQAP, which captured the port city of Mukalla in 2015 and held on to it for a year. But it has presented its more brutal tactics to a Yemeni audience, beheading and executing prisoners and rival militants. 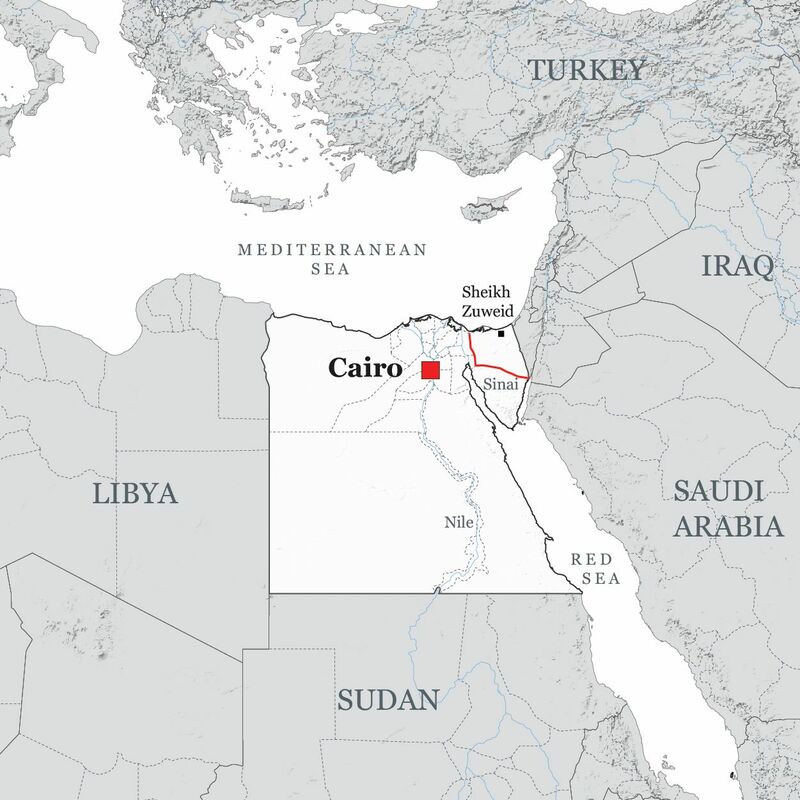 The ISIS affiliate in Egypt, known as Sinai Province, developed from the radical militant group Ansar Beit al-Maqdis. It pledged allegiance to ISIS and rebranded in November 2014. The faction is waging an insurgency against Egyptian security forces and conducting attacks against Coptic Christians, mostly in the restive northern region of the Sinai Peninsula that remains under a state of emergency, but it has also claimed responsibility for attacks in Cairo, Tanta and Alexandria. It is also responsible for what is believed to be the deadliest attack ever committed by an ISIS affiliate, the downing of a Russian Metrojet flight over the Sinai Peninsula with an explosive device in October 2015, killing all 224 people on board. Its members include Al-Qaeda defectors, jihadists from the neighboring Gaza Strip, and Egyptian radical Islamists who have returned from conflict zones in Iraq, Syria and Afghanistan. Since the fall of Colonel Muammar Gaddafi in October 2011, Libya has been wracked with instability. As ISIS rose to prominence in mid-2014, leader Abu Bakr al-Baghdadi dispatched a top aide, Iraqi national Abu Nabil al-Anbari, to create ISIS’s affiliates in the country—Tripoli Province in the west, Barqa Province in the east, and Fezzan Province in the south. The jihadist group carried out grizzly executions of Ethiopian Christians on the Mediterranean coast, set up training camps near the cities of Derna and Sabratha for foreign fighters, and eventually captured the central coastal city of Sirte in mid-2015, imposing its brutal brand of radical Islamic law over the population in Gaddafi’s former hometown. Pro-government forces ousted the group from Sirte in December 2016, and the U.S. began an airstrike campaign on key ISIS positions in the country. 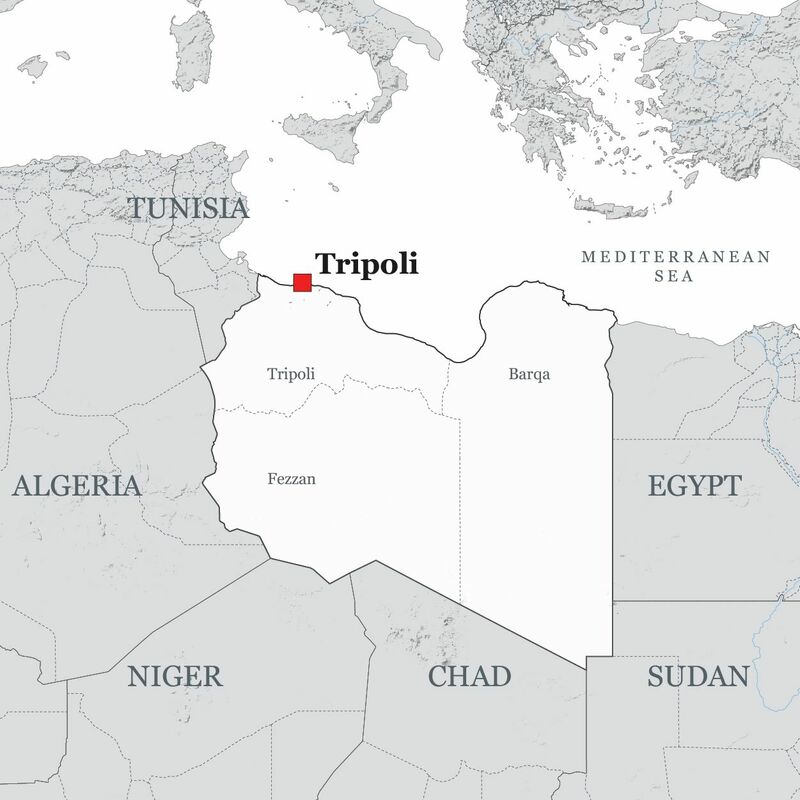 But, without territory, the group remains influential here, only last week beheading 11 troops aligned to the eastern Libyan strongman Khalifa Haftar. 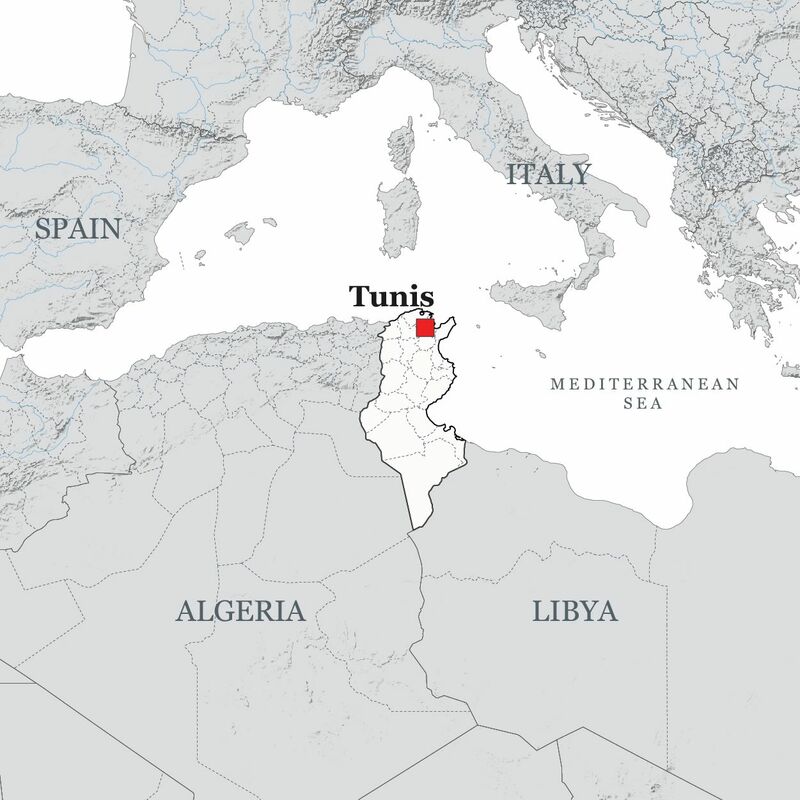 There is no clear ISIS affiliate in Tunisia. It was reported that the Ansar al-Sharia group in the country had committed itself to both ISIS and Al-Qaeda in 2014, but ISIS has not officially accepted its bayah, or pledge of allegiance. But ISIS has claimed three deadly attacks in Tunisia, all believed to have involved the group. These were the Bardo museum attack, the Sousse beach massacre and a bomb blast against Tunisian presidential guards in the capital, Tunis. All took place in 2015 and left dozens dead. ISIS fighters in Libya have also crossed into Tunisia, launching an attack on the border town of Ben Guerdane in March 2016. Tunisian security forces ultimately foiled the attempted takeover. Tunisia is the largest exporter of foreign fighters to ISIS's ranks, and as the group continues to lose territory in Iraq and Syria there are fears that many will return to the country. Since 2015, the government has stepped up counter-terrorism raids and arrests in a bid to quash a radical Islamist insurgency in one of the only success stories of the Arab Spring revolts. 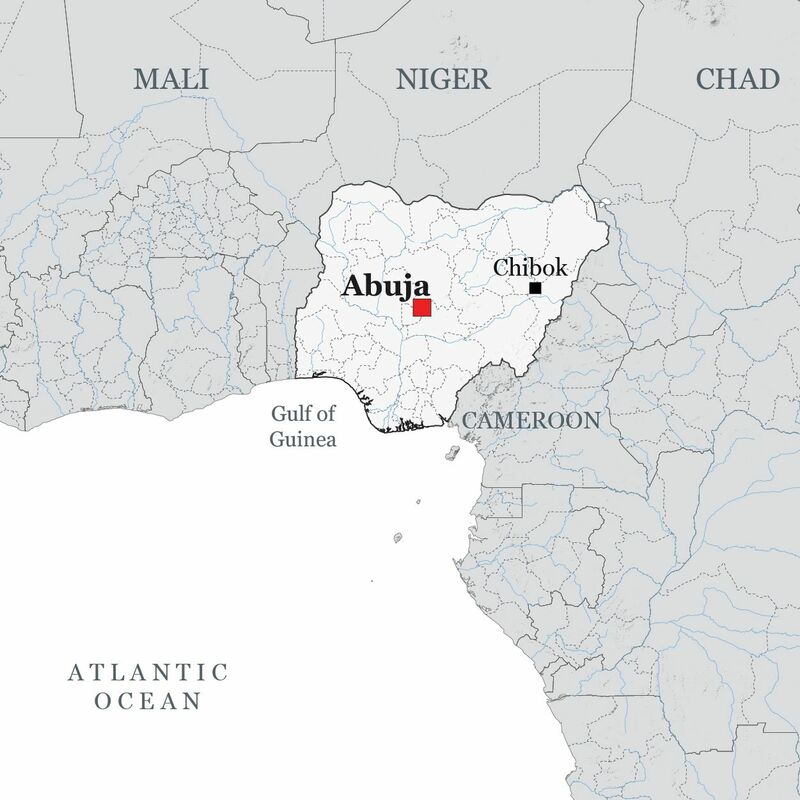 Boko Haram, which has been conducting attacks against security forces in northern Nigeria since 2009, pledged allegiance to ISIS in March 2015, the group’s first affiliate in west Africa. It rebranded as the Islamic State West Africa Province. 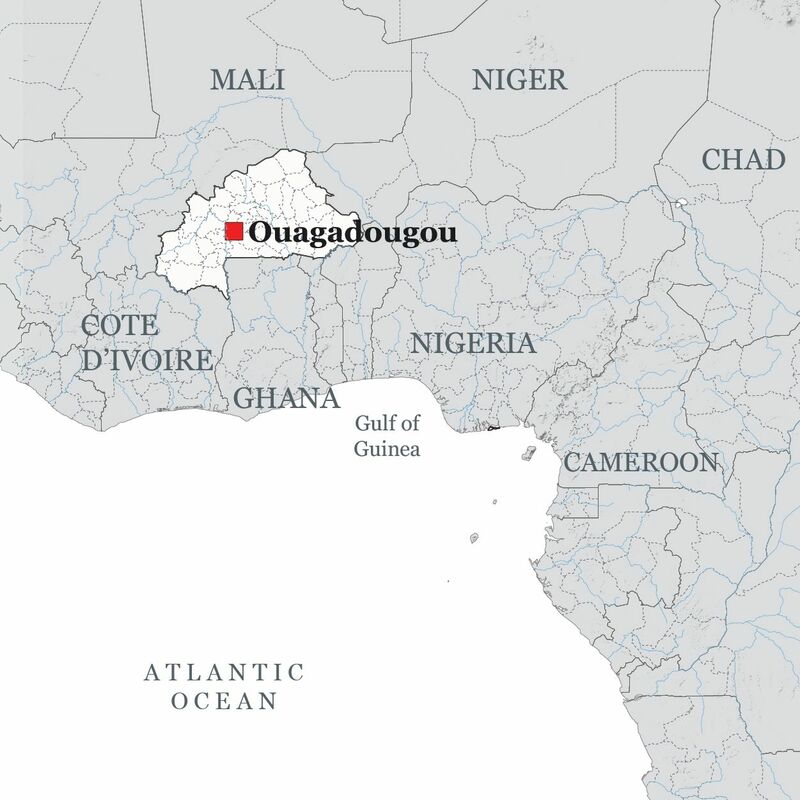 It has continued to carry out suicide bombings and its attacks have crossed into neighboring Cameroon, Niger and Chad. It has previously captured territory but a Nigerian military offensive ousted the group from most of the areas it had controlled, forcing its members to retreat to its heartland, the Sambisa Forest in Borno State. It split into two factions in 2016, with ISIS naming a new leader for the breakaway as Abu Musab al-Barnawi in an attempt to replace the elusive Abubakar Shekau. This led to a power struggle between the two factions. Experts said ISIS rejected Shekau as the affiliate’s chief because of Boko Haram’s attacks against Muslims and Sunni mosques while it was under his leadership. The group regularly uses women in its suicide bombings and more than 20,000 people have been killed in eight years of the group’s insurgency. ISIS accepted the pledge of allegiance from a new faction in the Sahel known as the Islamic State in the Greater Sahara, in October 2016. Its leader was named as Abu Walid al-Sahrawi, an Algerian jihadist who had fought for the Al-Qaeda-linked Al-Mourabitoun in North Africa. As in Yemen and Afghanistan, the ISIS affiliate in the area that stretches across six African countries from Senegal to Chad is overshadowed by more dominant radical Islamist groups, in this case Al-Qaeda’s affiliates—Al-Qaeda in the Islamic Maghreb, Ansar Dine and al-Mourabitoun. But it has claimed several attacks in Burkina Faso, including one in October 2016 that left three soldiers dead near the Malian border. Burkina Faso and the Sahel offer ISIS-linked fighters opportunity. The lawless desert region is open to smuggling and the movement of fighters, while Burkina Faso is threatened by the mere fact that it does not have institutions or security forces that are strong enough to deal with well-armed and well-funded extremist groups. ISIS’s affiliate in the Russian republics of the Caucasus was established in June 2015, and it claimed its first attack in the region in the same year. It was formed by jihadists who defected from the Al-Qaeda-aligned Islamic Caucasus Emirate (ICE). The U.S. designated the group’s purported leader, Aslan Avgazarovich Byutukaev, a former chief of ICE, as a terrorist in July 2016. ISIS has regularly named Russia as a target of its operations for its support of Syrian President Bashar al-Assad and bombing of the group in Syria. Many of the group’s top commanders have been Chechens or come from former Soviet Republics, such as its now-dead Minister of War Abu Omar al-Shishani, a Georgian-Chechen. 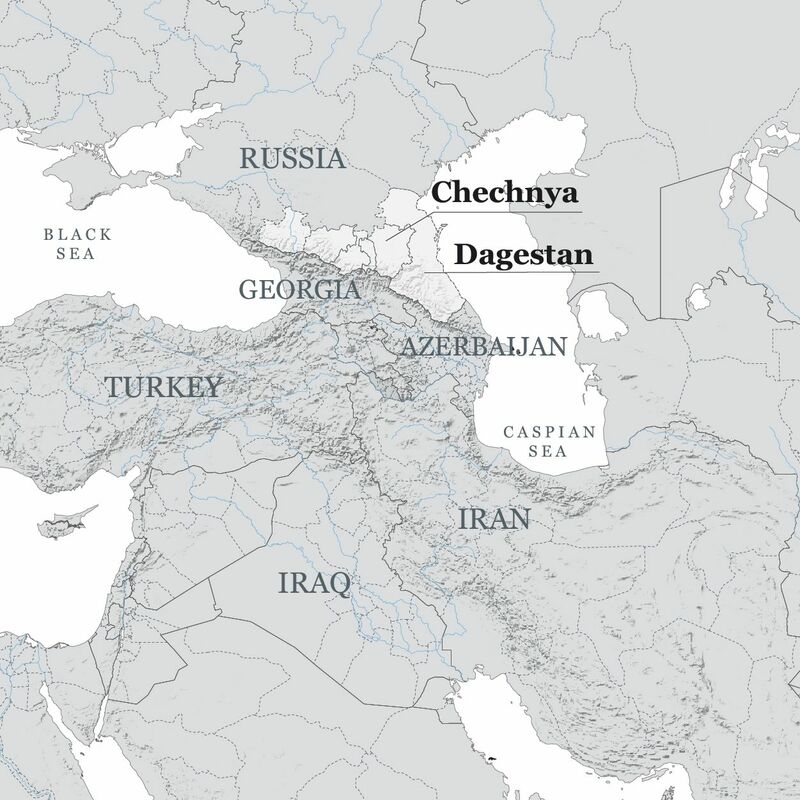 The group has carried out several attacks against Russian forces in the Muslim-majority republics of Dagestan and Chechnya. On Monday, ISIS claimed responsibility for an attack by two men armed with knives that killed a police officer in the Caspian Sea town of Kaspiysk in Dagestan. Abu Sayyaf was once known as a ragtag group of radical Islamist bandits who carried out criminal activity such as hostage-taking for financial gain in the Philippines. But it has beheaded two Canadians and one German national since January 2016. Its leader Isnilon Hapilon, the country’s most-wanted militant, directed the armed campaign by Abu Sayyaf militants—some of whom fought for ISIS in Iraq and Syria—and allied fighters from the Maute group on the southern city of Marawi in May. The fighters took control of parts of the city in Mindanao province and fighting is ongoing three months later. It has beheaded civilians and used them as human shields in the assault. Evidence has also emerged that ISIS’s leadership in Syria funneled funds to the Asian militants before its takeover. 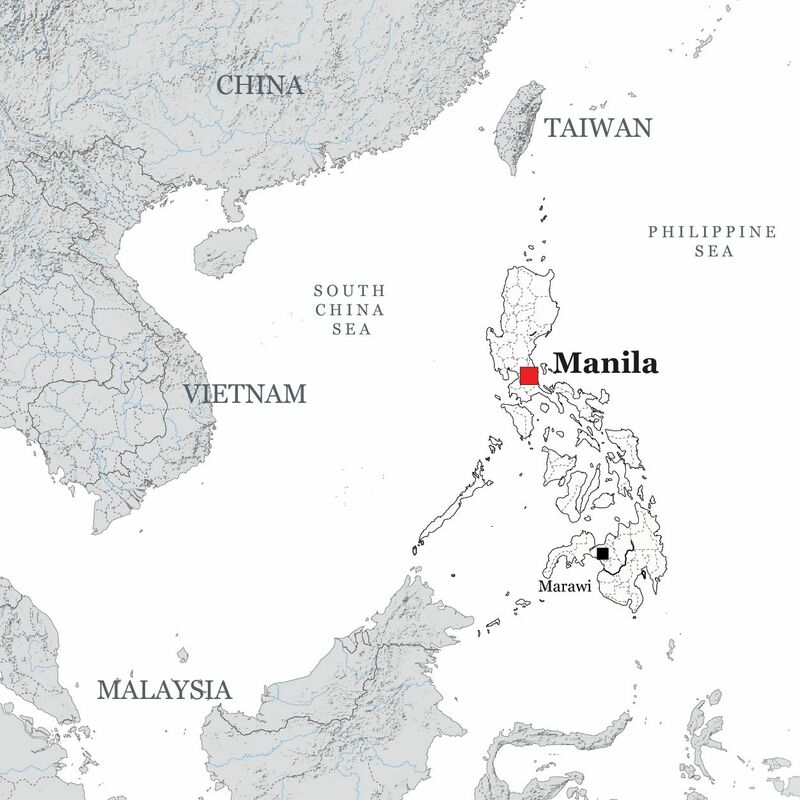 The group, now with greater battlefield experience, has become the most serious ISIS threat to southeast Asian security. An ISIS-inspired affiliate emerged in Algeria in 2014, known as Jund al-Khalifa, or the Caliphate Soldiers in Algeria, but it quickly faded from influence. 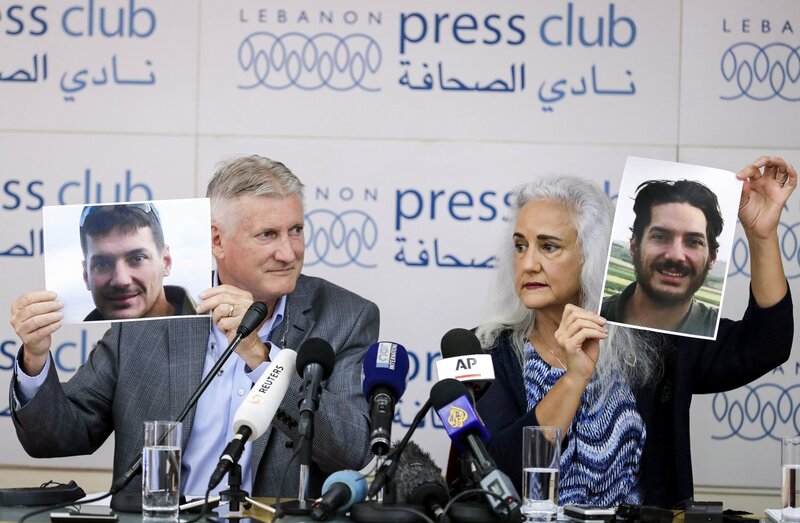 In September 2014, it captured French hostage Herve Gourdel, beheading him after a deadline for France to halt its participation in coalition airstrikes passed. Algerian security forces have largely kept a lid on the threat of a large-scale jihadist attack in the country ever since, though that threat still remains as ISIS-aligned militants continue to carry out smaller attacks against security forces. ISIS claimed a gun and knife attack in the Bangladeshi capital, Dhaka, in July 2016. Militants besieged a popular cafe, killing 22 people, mostly foreign nationals. Radical Islamists have targeted westerners, Christians, Hindus, secular writers, and LGBT activists in the country. But the government says that the attackers are not ISIS or Al-Qaeda, but domestic groups Jamaatul Mujahideen Bangladesh and Ansarullah Bangla Team. While officials have cast doubt on ISIS’s links in the country, there is evidence of its inspiration for several attacks, and its influence could continue to grow here. While there is no official ISIS affiliate in the coastal enclave that remains under an Israeli economic blockade, there are small pockets of ISIS support in Gaza. Salafis pledging support for the group have claimed responisibility for rocket attacks on Israel. Earlier this month, the first suicide bomb attack against Hamas forces inside the Gaza Strip took place, killing one border guard when he tried to prevent the bomber from crossing into Egypt. Officials said the culprit was an ISIS sympathizer. While Palestinian militant group Hamas retains control of the territory, it faces an increasing threat from jihadists both within and outside of its territorial control. 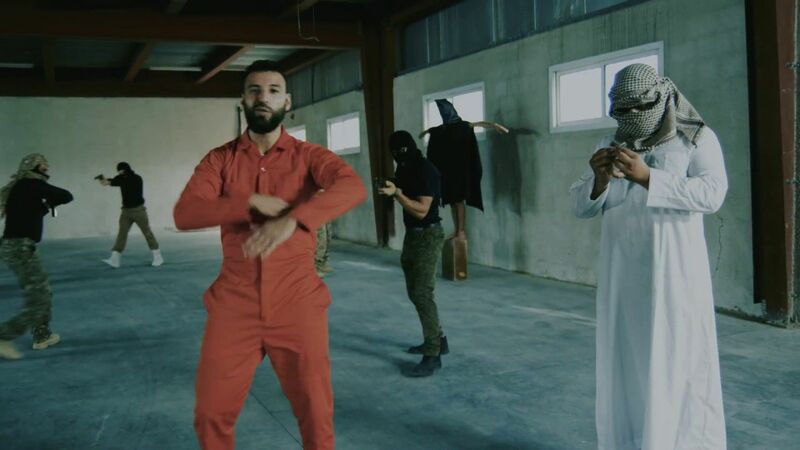 In June 2015, ISIS released a video threatening to overthrow Hamas for not being strict enough on enforcing religious law. Israel accuses Hamas of working with ISIS in Egypt's Sinai Peninsula, which borders both Israel and the Gaza Strip. Israel is not only concerned that ISIS's Egyptian affiliate could infiltrate its own territory, but also Gaza, potentially overthrowing Hamas rule. An ISIS affiliate is vying for influence with the Al-Qaeda-affiliated Al-Shabab in the East African state, claiming several suicide bomb attacks against security forces and a hotel in Mogadishu. The faction, mainly based in the semi-autonomous Puntland region to the north of Somalia, remains small compared to the size and influence of Al-Shabab, which formed in 2006 and has since waged a bloody insurgency against the Somali and Kenyan governments.